This 17th edition opened on June 27th at 21.15 in the magnificent stage of the Loggia dei Lanzi (Piazza della Signoria) with an American orchestra, the Youth Orchestra of Philadelphia: Philadelphia All “All City” Youth (USA, 120 elements). Historical orchestra that has existed for 72 years and is made up of 115 students from the music schools of the city of Philadelphia. Worth noting that during the execution of the piece of Copland, a text by Lincoln was read in Italian. The second will be an afternoon concert instead, on June 29th at 15.30 in the Basilica of San Lorenzo and will star the Juniors Orchestra of Bologna (Italy, 85 elements), a joint project by the Conservatorio GB Martini and the Teatro Comunale di Bologna and supported by the Foundation Del Monte. On July 2nd, the Festival of Youth Orchestras will return in the Loggia dei Lanzi at 21.15 for the concert of the Youth Spartanburg Orchestra (USA, 30 elements). This is the first youth orchestra of South Carolina, founded in 1920. The orchestra, which regularly organizes a tour every three years, is performing in Italy for the first time. They will perform music by C. Debussy, N. Rimsky-Korsakov, G. Verdi, G. Puccini and GP Telemann. Viola Christopher Durham, violin Simon Patel, soprano Dara Thompson. The exhibition will continue in the Loggia dei Lanzi (Piazza della Signoria) July 6th at 21.15 with the Youth Tulln Orchestra (Austria, 25 elements). Born 10 years ago in the Music School in Tulln, a small town in Lower Austria, where more than 800 young musicians are trained. The orchestra is made up of a group of 50 musicians aged between 10 and 20 years working together every week. Under the guidance of passionate director, this experience has great artistic and cultural value for the young students. The orchestra has already performed in Italy in 2009 at the Teatro Astra in Vicenza. Directed by Hans-Peter Manser and floor Florian Zeinler, they will perform music by Lv Beethoven, W. A. Mozart and Rossini. 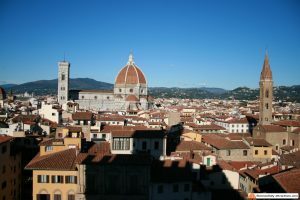 July 9th at 21.15 – Loggia dei Lanzi (Piazza della Signoria) – Youth Symphony Orchestra Twente (Netherlands, 74 elements). Composed of students aged 12 to 20 years, selected through annual hearings, from music schools and private teachers in the region, it is now a foundation, and works closely with local schools in Hengelo and Twente. In addition to concerts, the intent of TJSO is to offer students a unique experience through the exchange with other youth orchestras in Europe, with international tours that become real educational and cultural travel. The orchestra is directed by Carl Wittrock, who as well as having extensive experience as a director, is also a violinist, clarinetist and composer. They will perform music by I.V. Beethoven, O. Respighi, R. Wagner, J. Sibelius, A. Copland and M. Mussorgsky. On July 11th at 20.45 – Loggia dei Lanzi (Piazza della Signoria) – will be the turn of Gioachino Orchestra (Italy, 30 elements), the young orchestra formed in 2012 debuting at the festival Music & Music of the Valle del Metauro. The success has prompted some musicians and music fans to form the Association Gioachino Orchestra. The orchestra is now made up of about 30 elements of age 15 and has already performed in several cities and participated in important events. The director Massimo Sabbatini, graduated in violin at the Conservatory of Music G. Rossini in Pesaro, has to his credit many years of activity as a violinist, conductor and choir, and taught Orchestral and Choir in several conservatories in Italy . He will perform music by L. Boccherini, Corelli, O. Respighi and M. Mangani. “Classical music interpreted by young people, for everyone.” It’s with this thought that the Orchestre Quipasseparlà (Switzerland, 50 elements) will perform on July 13th at 21.15 – Loggia dei Lanzi (Piazza della Signoria). It is a group of young musicians united by their passion for music and the desire to share it. Formed in 2009, the orchestra now has more than 50 members, aged 16 to 25 years and performs a large number of concerts in Geneva, Lausanne and surroundings every year. The intent is to share music and its power of attraction and union. Directed by Marc Leroy-Calatayud and flute Samuel Rueff, they will perform music by WA Mozart and R. Schumann. July 14th at 21.15 – Loggia dei Lanzi (Piazza della Signoria) – it’s up to Centrumharmonie Geel (Belgium, 70 elements), a valid youth orchestra formed in 2008 in Geel (Antwerp), with the idea of providing an opportunity to wind instrument players to play together for their own pleasure and that of the public. The orchestra has a vast repertoire ranging from arrangements of classic songs to selections from musicals, to popular tunes. They will perform music by J. Verheyden, T. Doss, B. Appermont, P. Sparke, OM Schwarz , E. Morricone, The Jackson Five, C. Santana. All’euphonio Frederic Camps and Dries Gielis, oboe Marjan Huybrechts. The exhibition will be granted a few days off to catch his July 20th, again at 21.15 – Loggia dei Lanzi (Piazza della Signoria) – with the Euregio Youth Orchestra, (Belgium and the Netherlands, 80 elements). A symphony orchestra composed of talented young musicians (aged 13 to 14 years), from the schools of music and conservatories of the Netherlands and Flanders. They will offer music by G. Rossini, J. Williams, M. Arnold, L. Bernstein and K. Alford. It will continue on July 21st at 21.15 – Loggia dei Lanzi (Piazza della Signoria) – with the Hague Youth Symphony Orchestra (Netherlands, 75 elements). Born in 1923 is the oldest youth orchestra in the world! During all these years he has developed into several groups: 8 orchestras / ensembles, with about 400 young musicians aged between 6 and 25 years old, playing together. The director Marcel Geraeds, is also a clarinetist. He will perform music by S. Prokofiev, G. Puccini, E. Elgar, N. Gade, J. De Haan, L. Bernstein, A. Dvorak, L. Bernstein. Violin Sven Cornets. 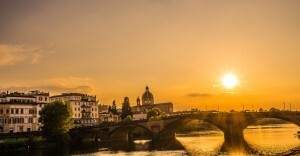 July 26th at 21.15 again the Loggia dei Lanzi – (Piazza della Signoria) – will host the extraordinary National Youth Orchestra of Spain (Spain, 90 elements). Created in 1983 with the aim of contributing to the formation of Spanish musicians, JONDE collaborated with important soloists and conductors and has participated in the most famous festivals in Spain and abroad. Under the direction of Lorenzo Viotti they propose music by R. Chapi, J. Bautista, S. Rachmaninov. Clarinet Justo Sanz Hermida, important soloist who works …. On July 27th, at 21.15 in the beautiful Loggia dei Lanzi (Piazza della Signoria) arrives the Jugend Sinfonie Orchester Konstanz (Germany, 50 elements). Formed by children under 18 years old, born in Heindrich-Suso-Gymnasium as a string orchestra under the direction of Michael Auer; between 1990 and 2000 it became a true youth symphony orchestra. The program includes music by C. Debussy, G. Stein F. Schubert, E. Presley. 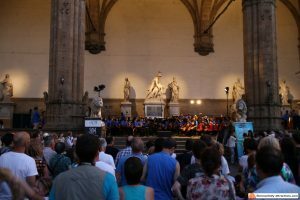 Still, July 28th at 21.15 at the Loggia dei Lanzi – (Piazza della Signoria) will perform the Youth Symphony Orchestra of Bremen (Germany, 70 elements). Founded in April 1980 by Heiner Buhlmann, who directed until 2012, now has about 90 young musicians and since 1999 also hosts the International Youth Symphony Orchestra training in Bremen, an annual international project with about 190 musicians from 21 countries. The orchestra has performed in front of the Pope in the Vatican and in various European countries and in South Africa. Since July 2012 is directed by Martin Lentz, he graduated in Weimar, with a wide experience as a conductor. It will offer music by L. Bernstein, C. M. v. Weber, G. Fauré, P. Tchaikovsky. Bassoon Dominik Relitz. 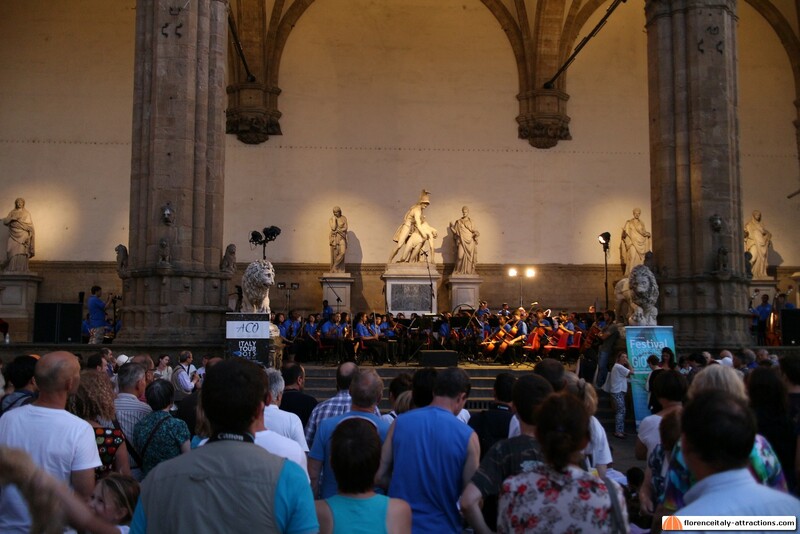 The penultimate concert, at 18.00 in the Loggia dei Lanzi – (Piazza della Signoria) – will host the Youth Orchestra Dasan (South Korea, 50 elements), formed in 2012 with the aim to popularize the knowledge of classical music and culture to young generations. tehy will perform music by WA Mozart, Mascagni, E. Morricone, R. Rogers, A. Khachaturian, D. Shostakovich, A. Piazzolla, J. Hisaishi, K. Soo Jin, as well as Korean folk music. Marimba Choi Seok Jun, director of the choir Song Yun Hee, Kim Hyung Joon orchestra director. Finally, on August 1, at 21.15 at the Loggia dei Lanzi – (Piazza della Signoria) – we’ll have the closing concert with the Gwangju YMCA “Dream” Youth Orchestra (South Korea, 50 elements). The orchestra plays a varied repertoire, from classical to film music, from children’s songs to folk music, thus giving the opportunity to young musicians and the public to have fun and to learn at the same time. Thery will perform music by J. Strauss I.V. Beethoven, A. Khachaturian, A.L. Webber, E. Morricone, K. Badelt, Seong Hwan Choi A. Dvorak. Clarinet Kang Tae Ho.